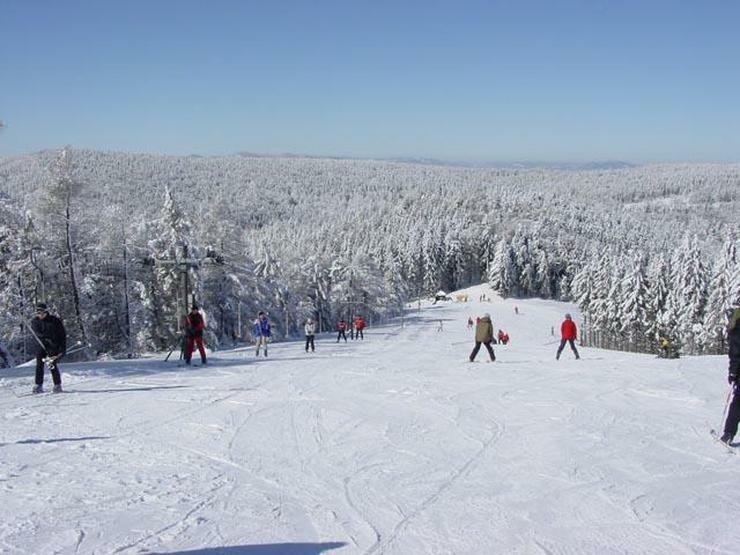 This one in Krynica, not the highest hills but enough for amateur skiers. My final fleeting memory from last night is people dancing around a bonfire swinging axes. Meanwhile, the headache I’m nursing suggests there’s every chance one of the axes is buried in my skull, though that’s more likely to be the work of the vodka I can still taste. There’s little time to work out the mystery of the après ski, though – I’m about to fling myself down a mountain. 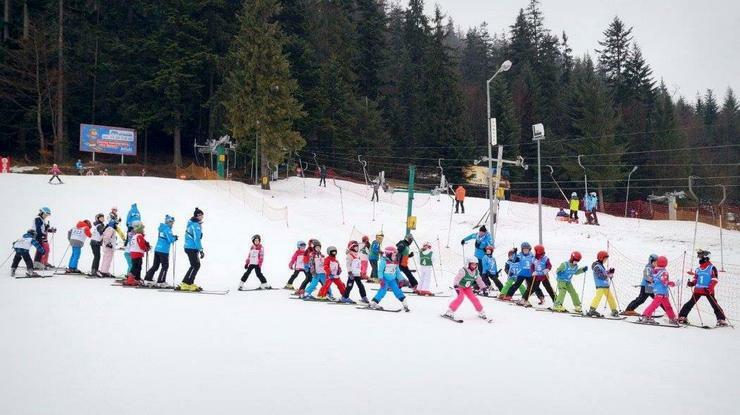 My ski lesson is taking place just outside Zakopane, in Poland’s Tatra Mountains. 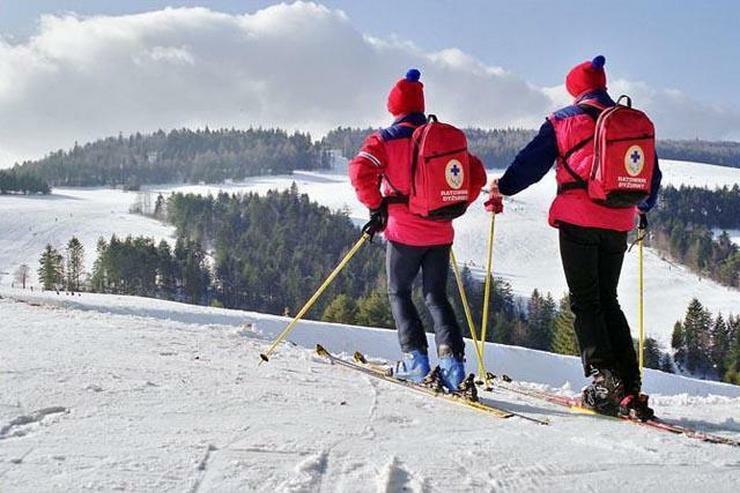 The sorry state of the pound meant a ski holiday in the Alps was out this year, but Poland (and its zloty) promised the chance to hit the slopes for half the price. I’d also heard that the Tatras were different to the average Alpine resort. “More personality, fewer crowds,” claimed a patriotic Polish friend. 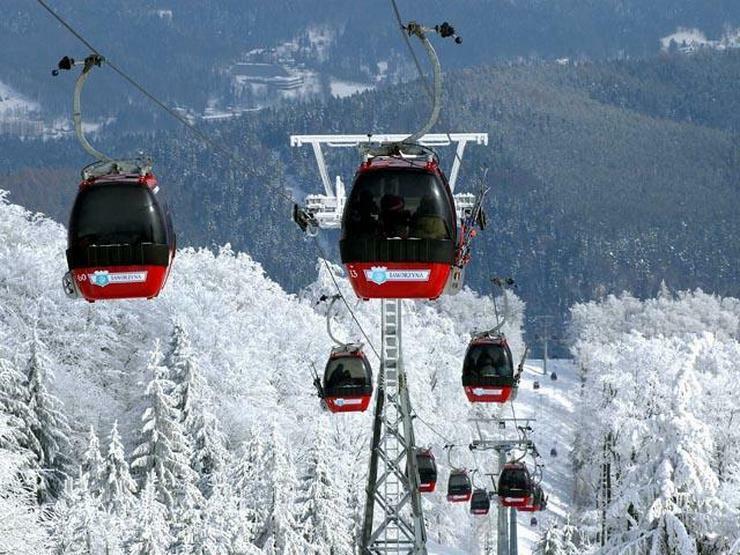 Zakopane, two hours south of Kraków, is hardly a secret – the winter capital of Poland, it’s welcomed kings and Popes during past December to March ski seasons – yet few foreigners come here. 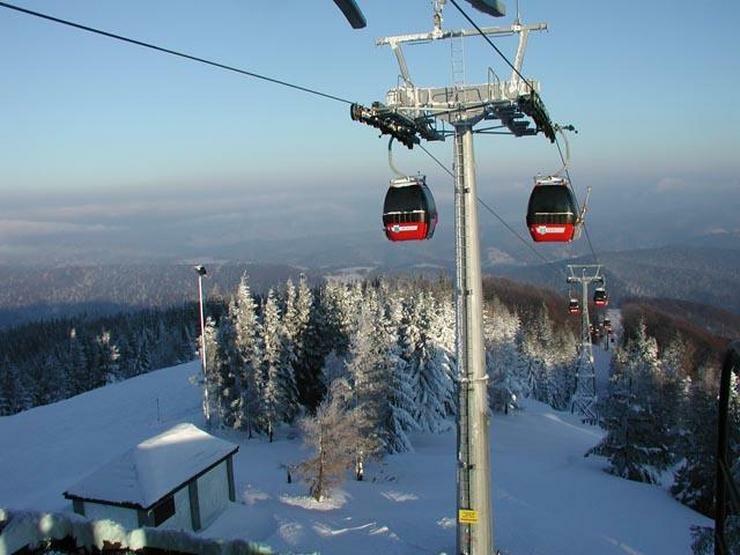 Even better, outside of the Polish school holidays, its six slopes aren’t crowded. Banked by neat valleys, sweeps of pine forest and blueberry bush scrub, it’s a landscape that can’t claim to be spectacular (the highest mountains peak at 2,000 metres), but it is serene and undisturbed, and beautiful for it. You’ll need to put up with a little lack of finesse. Facilities are being upgraded, ski passes aren’t interchangeable between slopes and the town’s shuttle buses adhere to timetables found only in the driver’s head. But these inconveniences are balanced against the refreshing impression that Zakopane isn’t trying to shake down its visitors. My skiing turns out to be as terrible as ever despite the lesson, not that I can blame Zakopane for that (although my performance is undermined by a hangover as well as a complete inability to steer). But at least I haven’t paid a fortune to fall over this time, because Poland delivers on its price promise. 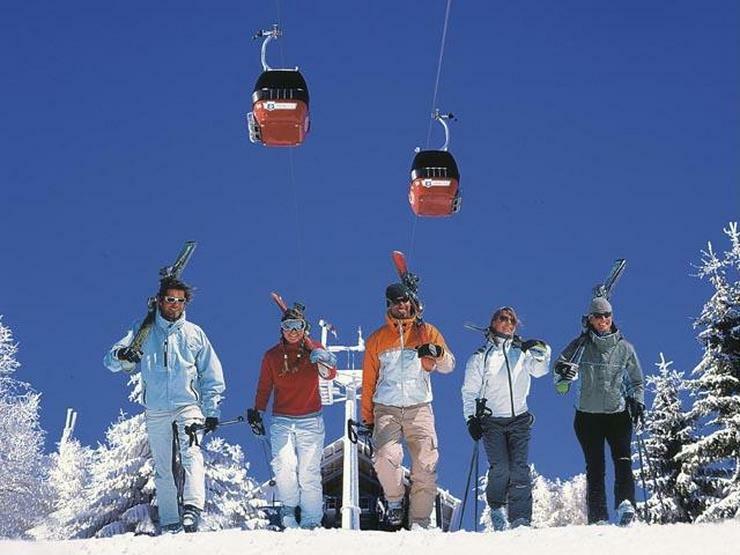 Day ski passes work out at around £15-20 and ski rental starts at the equivalent of about £6 per day. 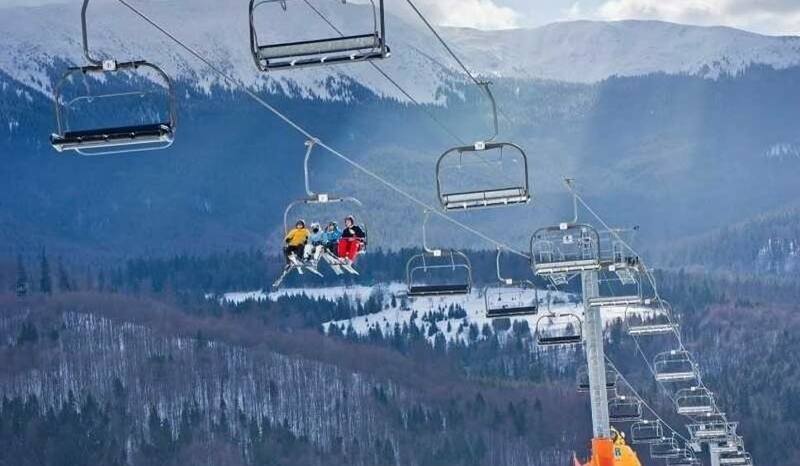 Given that the skiing is a bust, it’s lucky Zakopane is so inviting. 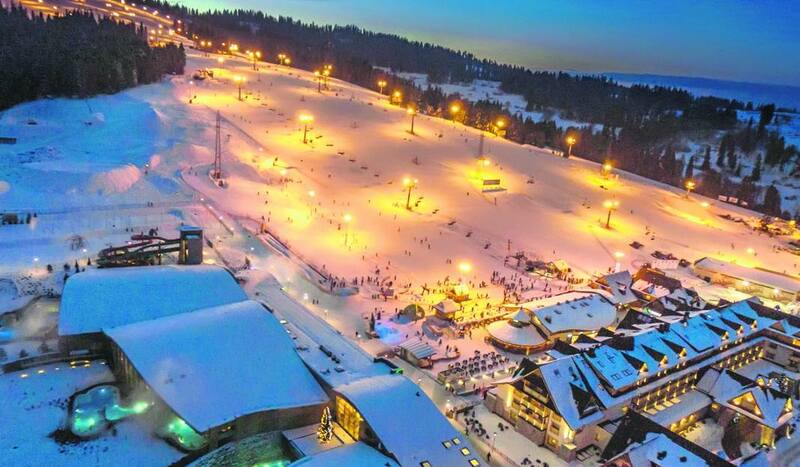 Of course no ski town can completely escape the dangers of becoming a tourist trap, but its main street of Krupówki remains largely unmolested. It’s an enjoyable pedestrianised ramble past carts hawking local cheeses and the steamy windows of bakeries stacked high with doughnuts. I take my pick of the cosy inns (karczmas) to eat potatoes and lamb chops in front of an open fire. This is the cuisine of the Gorals – highlanders who farm the foothills surrounding town. Their personality infuses the region – in fact, they’re the reason I’m in my sorry state. They can be found hauling horse-pulled sleighs or striking up fiddles over dinner dressed in their distinctive felt hats. How much of this folk tradition is all show for tourists? Since I’m not so hot at skiing, I’d headed into the foothills to find out. Maria Zych wasn’t wearing a hat when I met her, but she’s highlander through and through. Her family farm still produces the signature Goral oscypek sheep cheese inside a traditional wooden smoking hut known as a bacówka. Stepping through swirling smoke from the fire used to cure the cheese and past religious icons nailed to the wall, Maria showed me how they hand-turn the milk in a barrel and use wooden presses to mould the cheese. It's a process that's barely changed in the four generations the Zychs have run the farm. When I asked Maria why they stick to traditional methods, she carved a slice of the cheese. It was fresh, slightly salty and had a delicious tang from five days in the smoke. “Because it tastes best this way,” she replied. I bought an oscypek the size of a wine bottle for less than £8, and we celebrated the sale with Maria’s homemade vodka – twice. There are dozens of these bacówkas and karczmas hidden in the countryside. Largely undiscovered by tourism, you’ll find a modest scattering of tables and chairs, local food and endlessly warm hosts at each. That’s how I found myself conscripted into a boisterous Goral wedding party. Plied with wild celery-infused vodka, I was yanked off my feet as a band of traditional dancers took to the floor. The dance is a centuries-old ritual, passed down through the clans and taught at local Goral schools to keep the culture alive. There were whistles, whoops and more raised glasses as the dancers clicked their heels, leapt over the bonfire and began to swing traditional mountain axes over their heads. 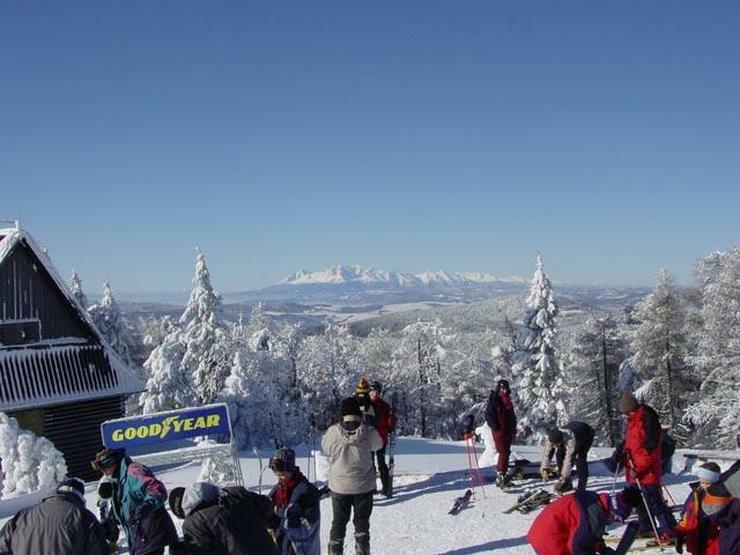 The après ski gets the thumbs up, then, but it’s hard for me to properly rate skiing in Poland. The experience in France, Austria and here is much the same for those of us who spend most of our time face down in the snow. 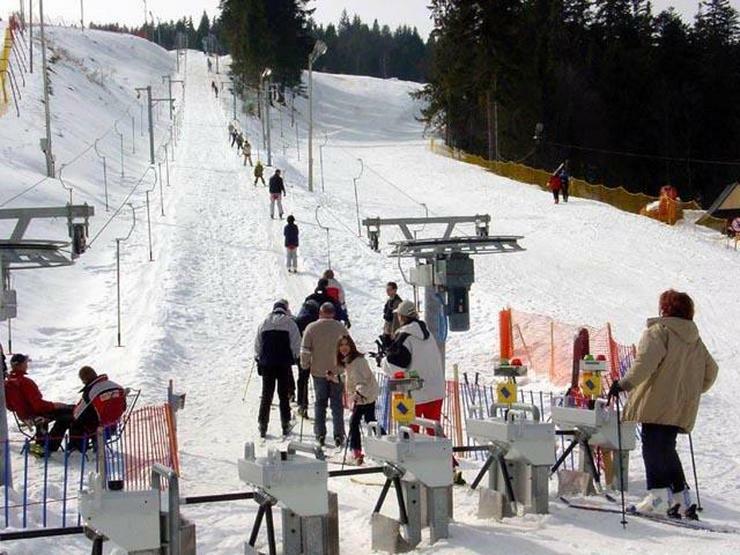 But my inability to ski is precisely why I enjoyed Zakopane so much – there’s so much to explore off the slopes. And whether or not I rent a pair of skis again, I’ll be back: for the folklore, for the culture that hasn’t yet been polished and packaged for tourists… and to share more cheese, vodka and a little bit of mischief with axe-wielding locals. Ryanair (ryanair.com) offers frequent flights to Krakow from Stansted, with return fares from £40. Rory Boland stayed at Mercure Kasprowy (kasprowy.pl/en), where rooms overlooking the Tatras are around £100 per night in ski season. At the top of the Kasprowy Wierch cable car was a poster about bears. The specimen depicted was fudge-coloured and shaggy, and looked replete, as if he'd just eaten a skier. "And do they?" I asked the liftman. He thought about it a moment. This part of Poland is famously unhurried, and full of surprises. 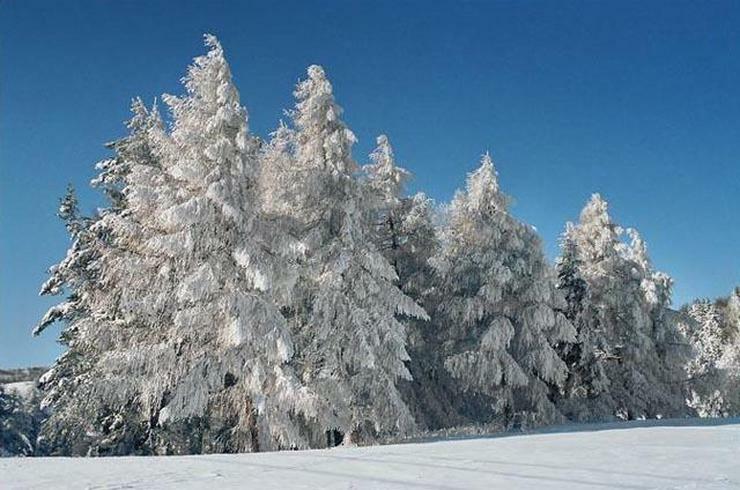 Over 600km south of the Baltic, this is a land of snowy, Brueghel-esque scenes; sleighs, monasteries, cupolas, huge wooden manor houses – like galleons – and a rolling landscape of whiteness. Then, suddenly, it wells up into a wall of rock, 2,500m high: the Tatras. This is the whiptail of the Alps, as wild and well-wolved as anywhere else. "No," said the liftman. "Bears are fine. And, anyway, they sleep now. Come back in spring." It's a tempting offer. Everything about our Polish week exceeded expectations – as a family holiday it's hard to beat. I've always liked the sound of Krakow, with its huge 13th-century square, and its ancient churches, but we also decided to slot in some skiing. This was more imponderable. Although the prices were encouraging (a fraction of France's), the skiing was mysterious. How would our resort, Zakopane, cope with our range of talents: the expert (my wife), the novice (Lucy, aged eight) and the haphazard (me)? We soon realised that, whatever the skiing was like, Zakopane was charming. Although it has swanky bars and ski shops, it's essentially a very old mountain town. Most of it is made of tree trunks (parts dating from the early 1800s), and even the scrap-dealer still has a sledge. This is the place to buy an enormous sheepskin (£25), or a vast cake of smoked ewe's milk cheese (£1). Lucy loved it, as any child would. The locals – called "highlanders'" here – use any excuse (eg church) to dress up in costume, and can often be seen in their black hats, sea-shells and narrow, white-felt trousers. Even our hotel, the Litwor, felt pleasingly old-fashioned, although it had a vast fish-tank above the pool that glowed like a planet. The system for skiing seemed a bit odd at first. 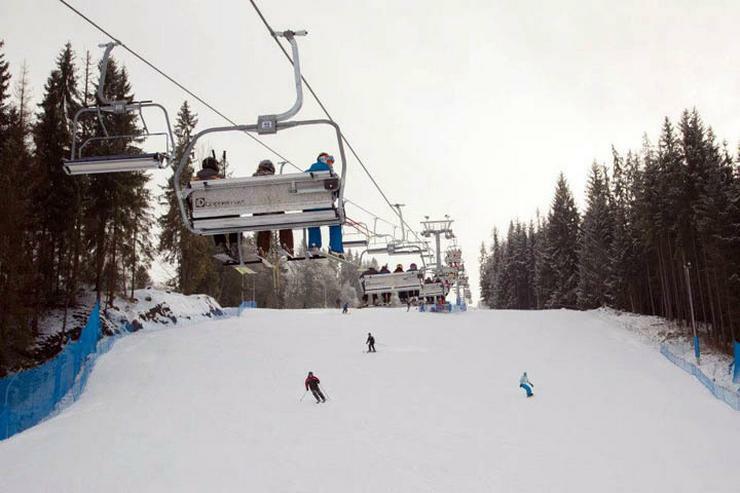 Each day, we'd take a taxi (£5) or a bus (75p) out to a different ski area. Some didn't open until 9.30am, and then we'd hire what we needed for the day. Like Zakopane, it was all vaguely charming (I once saw a horse and cart, collecting firewood beside a green run). Out on the runs, all of us were happy ("This," announced Lucy, "is the best fun I've ever had!"). Harenda, Nosal and Szymoszkowa were perfect for a family like ours, encompassing beginners and the doggedly incompetent. 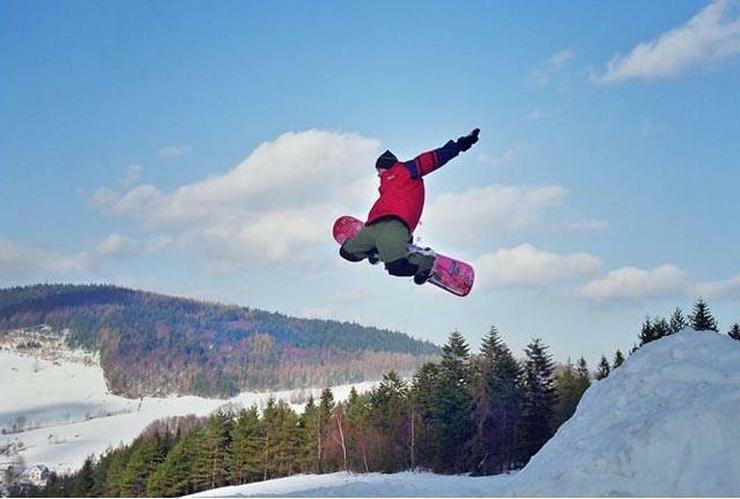 Although – for my wife – there was only one area offering a true adrenaline fix (Kasprowy Wierch), here was an ideal opportunity to master the snowboard. None of this was going to break an arm or a leg, and nor was it going to cost one. It'll be hard to go back to paying top-dollar elsewhere after the prices here (daily ski-pass £12; skis and boots £5 a day; lessons £15 per hour). Even a good, slap-up, log-cabin lunch came in at a fiver (mulled wine £2; spag bol £3). I loved these places, all slightly trollish with their log fires and antlers. 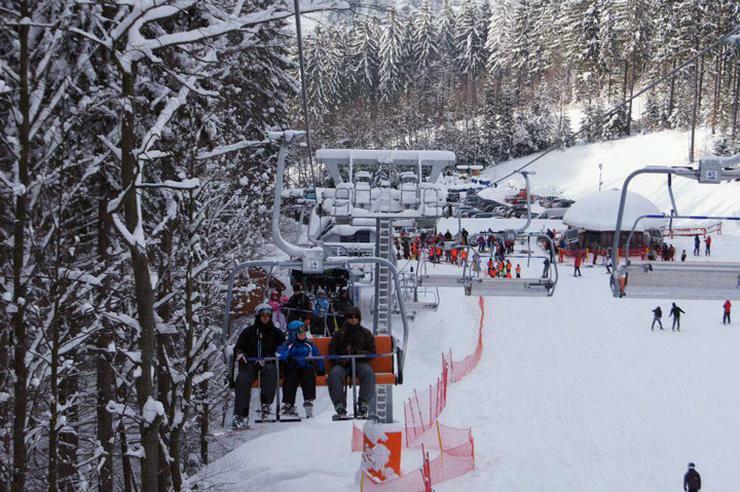 In Zakopane, there's a pleasing selection of restaurants with open fires and hearty dishes. If you want something urban, try Dobra Kasza Nasza, where grilled chicken and a shot costs around £6. Or to see highlanders in their costumes hefting huge platters of meat, go to Owczarnia, with spare ribs at around £8. I am also surprised by how many Poles ski with tiny dogs tucked into their jackets. After this, Krakow did little to dispel the fairytale aura. At first sight, it's like a city that's risen from the pages of a children's book. Dominating everything is a castle (the Wawel), that looks like a meeting of towers from all over Narnia. Beyond it is a great sprawl of Gothic and Baroque; dungeons and underground eateries; old groceries; huge chocolate shops (with bunnies the size of spaniels); and a footbridge to which lovers have attached thousands of padlocks. Grand, hobbity, and slightly eccentric, there is, quite literally, something for all the family. It would've taken months to explore it all. We did, however, find the lecture halls of Copernicus and Pope John Paul II, and the house (at 14 Szeroka) where Helena Rubinstein was born. We also found ourselves before da Vinci's Lady with an Ermine, in the castle. But there is a darker, sadder side to Krakow. In 1941, the Nazis had descended on Kazimierz, a district that had been Jewish since 1495. Even today, parts of Kazimierz feel ownerless and derelict, and the resurrection of the synagogues is largely architectural. Of those marched away (amongst them, Roman Polanski, aged eight), some 60,000, or 25% of Krakow's population, perished. You can still see the ghetto across the river, where – for a while – some of them lived. But it isn't all run down: an interesting reconstruction of a Jewish eatery can be found at Dawno Temu Na Kazimierzu on ul. Szeroka 1. And amongst the little factories, one (at 4 Lipowa) is now a startling new museum – and will always be known to the world as Schindler's Ark. Before leaving, we made two forays from Krakow. The first, to Auschwitz (70km to the west), was an experience so affecting that – weeks on – I still think about it every day. The second took us deep underground, to a happier time in Poland's story. 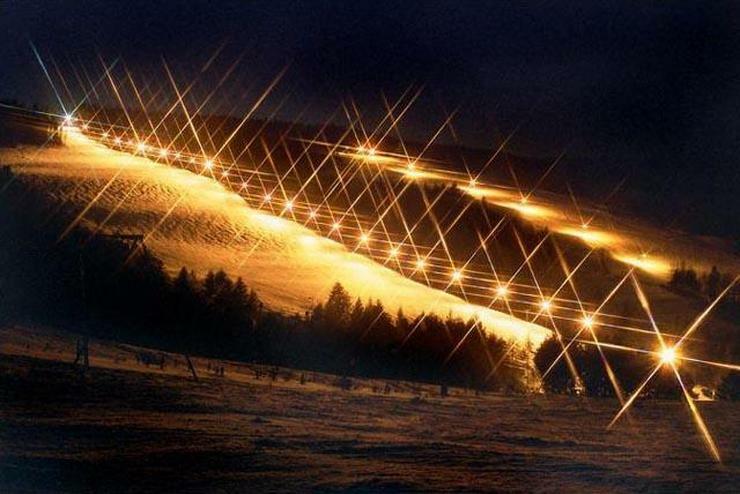 In the 1280s, rock salt was discovered at Wieliczka, and a mine began. Now, seven centuries later, there are over 240km of tunnels, and we saw around 1% in an afternoon. It was a magnificent walk, past underground lakes and through cathedrals of salt. You could almost feel Lucy's young imagination being gently stretched. There was also a comforting sensation of wealth and fantasy restored. So would we return to Poland? Each of us felt our appetite for this remarkable country was merely whetted. So I'm sure we'll be back, if not in time for the bears' first breakfast.